• The fun, reliable choice for high-powered scooters. 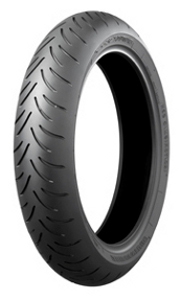 • This tyre delivers the precision handling and stability you need to meet the challenges of city riding. • It gives you the confidence to push the limits of your scooter on both wet and dry surfaces for a fun ride, whatever your destination. • Advanced sporty tread patterns ensure a superior grip for that real sports feeling. Drive it in deep in the corners and push it even harder on the straights. • Reduced pattern noise on the front and rear tyre ensures a really efficient and above all comfortable ride on a variety of surfaces.